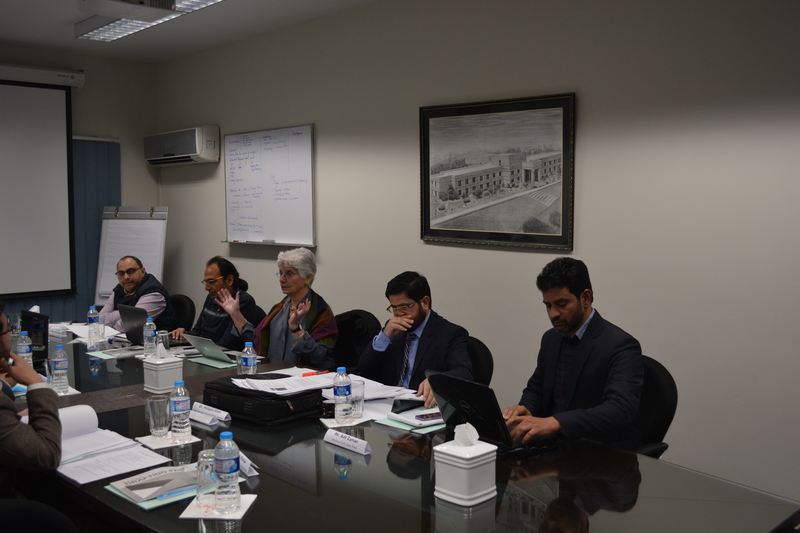 In the first week of January 2015, we convened the second week-long session of the Faculty Workshop on Conflict. Our group – specialists in politics, sociology, law, international relations and public policy -- met at the Rausing Center at LUMS (a great venue) to work through an ambitious program that focused on research and teaching on the intersections of conflict, rights and governance. Given events in Pakistan in the weeks before we met, the subject was particularly pressing, and workshop participants navigated a series of difficult research issues – theory, concept, policy and application – as well as serious questions about handling these issues in the classroom. As before, we alternated traditional textual analysis with case studies and simulations. We were joined by two guests: Hina Jilani spent an afternoon discussing UN investigative methods involving rights in conflict zones --with a partial focus on Gaza, and an illuminating conversation about law and conflict in Pakistan; and Syed Iqbal Riza brought his extensive experience with the UN in Central America to our discussions of regional peace negotiations, rights, elections, post-conflict governance.